It was a great night for the travelling Reds fans, who saw their side completely demolish a woeful Hammers side. Liverpool’s attack of Mo Salah, Roberto Firmino and the returning Sadio Mané proved to be to much for the shaky Hammers defence. It all started when a West Ham corner led to a trademark Liverpool counter attack. Mané ran at Cresswell, pulling him away and making space for Salah, who was played in to finesse the ball past Hart. Shortly after, an unorthodox corner deflected off Noble which forced Hart to make a save, with the rebound falling invitingly for Matip who finished into an almost open net. Liverpool were well in control at the break. After half time, however, West Ham came out a different team and were beginning look like they could turn the game around. Their strong start earned them an early second half goal, with Lanzini firing past Mignolet and putting the Hammers back in the game. 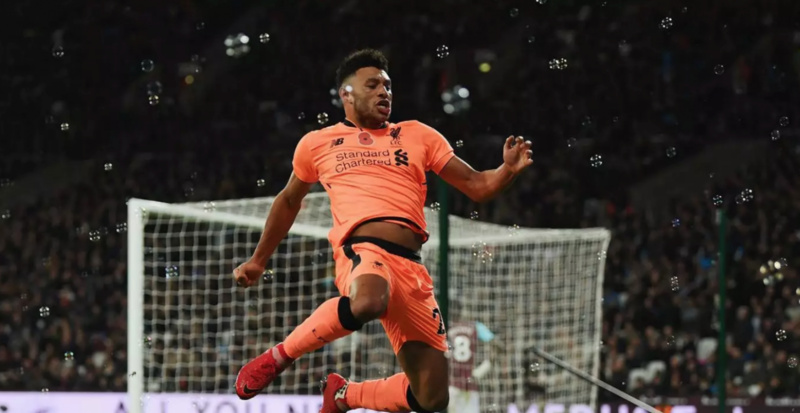 Celebrations were short-lived though, as a mere 57 seconds after West Ham halved the deficit Oxlade-Chamberlain scored and restored LFC’s two goal lead, netting his first Premier League goal for the Reds. Despite the instant reply, West Ham still had life in them and were attacking with purpose, mustering up decent chances. However, Liverpool were able to defend these West Ham attacks and kill off their momentum, and soon it seemed that West Ham had lost all hope. Hammers fans were clearing out, and the London Stadium was beginning to look like the Etihad. The nail in the coffin was when Salah scored the goal of the night, driving the ball into the bottom corner, with Hart well beaten. There could have been more goals after that, with the likes of Milner and Firmino also coming close. 4-1 was a scoreline that would probably flatter West Ham - an embarrassing display once again from a side struggling to pick up points. Slaven Bilic is hanging on to his job by the skin of his teeth. For Liverpool, it was a performance to look back at with pride, and for the first time since August, Liverpool have strung together back-to-back Premier League wins. The last couple of months have been frustrating, but the Reds may have finally found their form again. NB: since Will wrote this piece, Slaven Bilic has obviously been replaced as West Ham manager... good luck to David Moyes for the remainder of the season!